Are you looking for an exciting career opportunity in business development with one of the strongest financial institutions in Canada? TD is growing their Mobile Mortgage Sales Force and seeking proven sales professionals to join our dynamic team! Are you entrepreneurial, with a proactive and strategic approach to developing your customer base? If so, our Mobile Mortgage Specialist position offers a unique opportunity for you to achieve your professional goals while flexing your work schedule to maintain the right balance for you. Your mortgage development initiatives will include targeting referrals from realtors, builders, financial planners, and other centers of influence. Targeted sales training is provided where you will build your sales skills and credit knowledge. Our comprehensive training will ensure you smoothly integrate within TD's employee focused corporate culture and your new team. Your Sales Manager is committed to your success and will work closely with you by making joint sales calls and conducting monthly coaching sessions. You will work from a sales management system which has been designed specifically for our sales channel to enable your success. This position sets you up for success by offering?. Exceptional sales and activity management programs to support your efforts. All the essential tools you need for your home office, including a laptop computer, email and network access, and provide a monthly allowance for your phone. The opportunity to develop your career within a successful and thriving multi-national corporation. A highly motivated individual, who is a self-starter with exceptional quality sales skills. See more of what TD Bank has to offer. The Toronto-Dominion Bank & its subsidiaries are collectively known as TD Bank Group (TD). 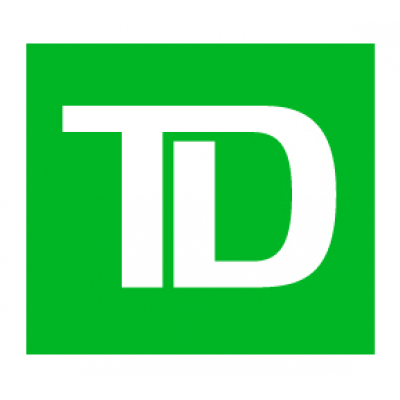 TD is the sixth largest bank in North America by branches & serves approximately 22 million customers in a number of locations in key financial centres around the globe. Over 85,000 TD employees represent the strongest team in banking. Delivering legendary customer experiences is who we are & is part of being the Better Bank. Visit our Careers page to learn more about TD & why TD is a great place to work.